Did you know that high blood pressure is a leading cause of heart disease and heart failure, and the number two cause of kidney failure? Do you know why they call hypertension the silent killer? I'm going to explain high blood pressure symptoms in full detail. Don't let it get high off your own supply. Hypertension is a major cardiovascular risk factor. It is a leading cause of heart disease, heart failure, strokes, and it is the number two cause of kidney failure in this country. Hypertension is the second most common cause of why people are on dialysis. In the United States, 46% of the adults have hypertension, yet less than half of them have their blood pressure under control. Today, I will give a general overview of hypertension or high blood pressure. I will discuss the definition of hypertension, which actually just changed in 2017 based on the recommendations of the American College of Cardiologists and the American Heart Association. I will also talk about the consequences of poorly controlled blood pressure. And I will talk about how to prevent hypertension by not letting your blood pressure get high off your own supply. Don't let it get high off your own supply. Hypertension or high blood pressure is when you have an elevated pressure in the blood vessels. We measure blood pressure with two numbers. There is that top number, or the systolic blood pressure and the bottom number, or the diastolic blood pressure. The systolic blood pressure, that top number, measures the pressure in your blood vessels while the heart is contracting or squeezing. That bottom number, the diastolic blood pressure measures the pressure within your blood vessels while the heart is relaxed. Normal blood pressure is when the systolic blood pressure is less than 120, and when the diastolic blood pressure is less than 80. You have elevated blood pressure when the systolic blood pressure is between 120 and 129, and when the diastolic blood pressure is still less than 80. So yes, with the new definitions you have elevated blood pressure when your systolic blood pressure, that top number, is between 120 and 129. It's when the systolic blood pressure is 130 or greater, and when the diastolic blood pressure is 90 or greater. Now, I already know what you're thinking because I've heard it from my patients, time and time again. You may be thinking, oh no, I can't have a blood pressure less than 120. I'll get sick. I'll be lightheaded. Or, you may be thinking that you technically have high blood pressure, but you might be thinking, I don't have symptoms. Or, you may be thinking that, yeah, you technically have high blood pressure, but since you don't have any symptoms that it's probably just normal for you. Guess what? High blood pressure is not normal for anyone. So even if you do walk around with very elevated blood pressures and you have no symptoms whatsoever, that hypertension is still damaging your heart. It's damaging your brain. It's damaging your kidneys. So we definitely need to work to get your blood pressure down to a normal range. Don't let your blood pressure get high off your own supply. 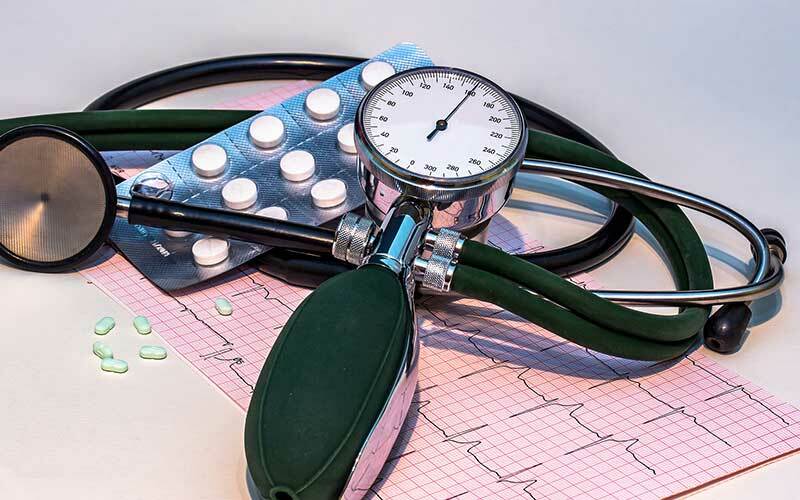 What are the consequences of uncontrolled blood pressure? The consequences are heart disease, heart failure, stroke. And again, poorly controlled hypertension can lead to kidney failure. Hypertension is the second most common cause of kidney failure in the United States. Well sure, you can get headaches. Some people will even get shortness of breath. There are different symptoms that you can get with severe high blood pressure. But the most common symptom of hypertension is nothing. So you could be walking around with dangerously elevated blood pressures, with no symptoms whatsoever, and that's why they call hypertension the silent killer. You can prevent it by not letting your blood pressure get high off your own supply. Don't let your blood pressure get high off your own supply. What is your own supply? Your own supply refers to the foods and the habits you have, which may be putting you at risk for hypertension. For example, if you sat down at the breakfast table and had five slices of bacon this morning, and then you checked your blood pressure and found out that it was elevated. Well, your blood pressure might be high off your own supply of bacon. Or, if you were driving down the highway and all of a sudden you got cut off by a car. Now you're chasing the car down, honking and hollering, and having just a full-blown episode of road rage. Then you check your blood pressure and you find out that it is elevated, well your blood pressure might be high off your own supply of stress. Don't let your blood pressure get high off your own supply. What are some other things you may be supplying to your blood pressure to make it high? Salt, or sodium. Now when I ask most of my patients if they have a low salt diet, they immediately respond, "Oh yes, Dr. Frita. I never add salt to my food. I don't even pick up the salt shaker. And they're usually very proud of themselves. But once I delve a little deeper into their diet history I find that most of them have high sodium diets. For example, you have to look at the labels. If you eat two vegetarian sausage links, that's 300 milligrams of sodium. If you have just one tablespoon of ketchup, that's 197 milligrams of sodium. If you have a cup of creamed corn, a nice little vegetable, well that's 567 milligrams of sodium. How much sodium should you be having? Well, if you have hypertension, diabetes, kidney disease, or if you are an African American, then you should 1,500 milligrams of sodium or less per day. Even if you are perfectly healthy, if you are over the age of 51, and again, if you're African American, you still should only have less than 1,500 milligrams of sodium a day. Everyone else, who is between the ages of 2 and 50, can have up to 2,300 milligrams of sodium a day. But this actually is a very, very, very small amount. 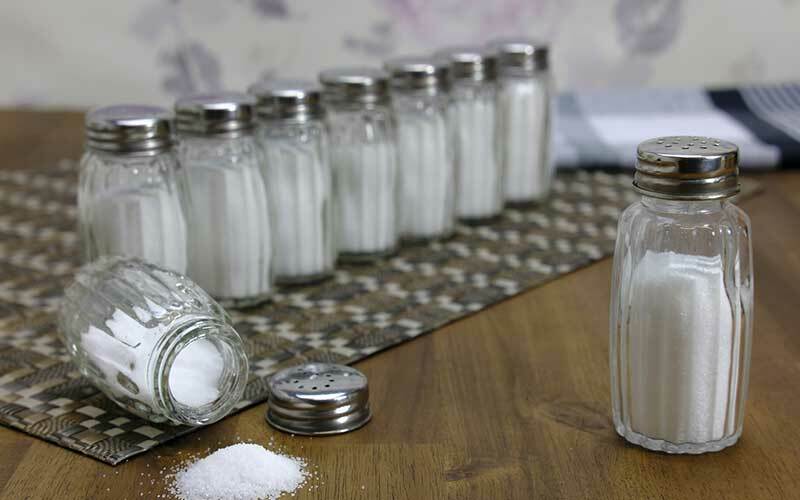 Nevertheless, if you have a high salt, high sodium diet, it absolutely puts you at risk for hypertension. So please don't let your blood pressure get high off your own supply of salt. Another thing that you may be supplying your body with to make your blood pressure high is fat or obesity. Studies show that obesity increases your risk for hypertension. Studies also show that a significant decrease in weight helps you to maintain a normal blood pressure. So go to your doctor, find out the healthy weight for you. Get a specific diet and exercise plan for you if you are overweight or obese. Obesity is a risk factor for hypertension. Don't let your blood pressure get high off your own supply of fat. Another contributing factor, couch "potato-itis", physical inactivity. Don't let your blood pressure get high off your own supply of couch "potato-itis". Now you know good and well that physical exercise, cardiovascular activity, is good for your overall health in general. Studies actually show that when you get at least 30 to 60 minutes of good ole cardiovascular activity in, and resistance training most days of the week, that you can reduce your blood pressure by as much as 15 points. So again, go to your doctor. Get a good exercise plan in, or even just walk. Do a good brisk walk for 30 minutes a day, or most days of the week. This can help to prevent hypertension. Couch "potato-itis", or physical inactivity is a risk factor for hypertension. Don't let your blood pressure get high off your own supply of couch "potato-itis". Alcohol. If you drink more than two drinks a day, then you have a 1.5 to 2 times higher risk of developing hypertension than if you drink less than two drinks a day. If you drink more than five drinks a day, then you are at an extremely high risk of developing hypertension. Excessive alcohol intake is a risk factor for hypertension. Don't let your blood pressure get high off your own supply of alcohol. Stress. Raise your hand if you have ever experienced stress? That's what I thought. 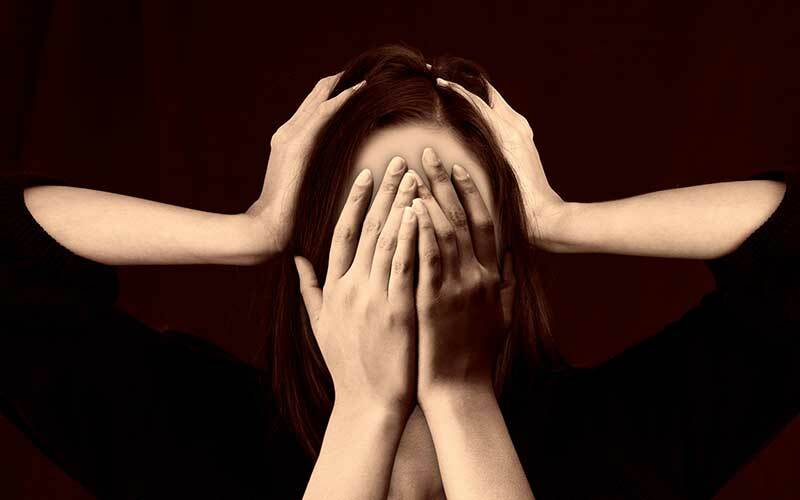 Stress is another big risk factor for hypertension. When you experience stress your adrenal glands release adrenaline and cortisol. These hormones cause your blood vessels to tighten and they cause the blood pressure to increase. So just think about it, if you are a person who experiences stress several times in a day, then you may be causing your blood pressure to surge several times a day. 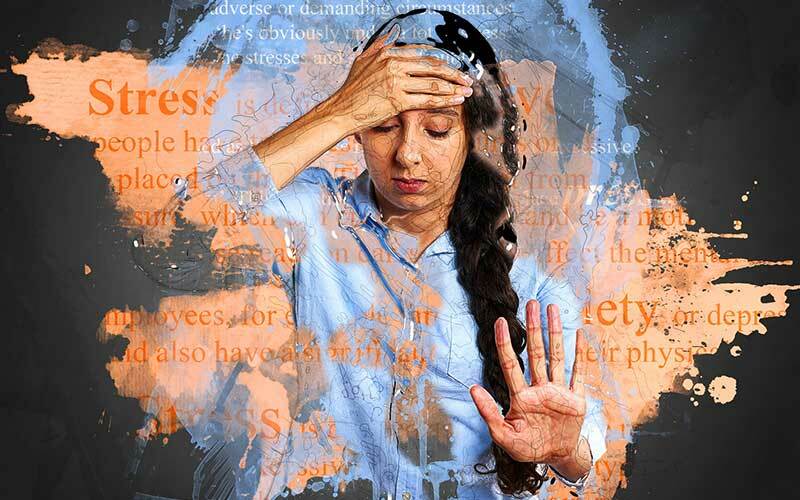 Stress is a risk factor for hypertension. Find ways to try to reduce your stress. Practice good time management. If you leave your house a half hour earlier than you think you need to, then you don't have to worry as much about encountering traffic. Or, being late and feeling stressed when you get to a place. Also, meditation or just deep, slow breathing can help to decrease your stress. When you have deep, slow breathing, this causes the heart rate to decrease. It can also lower the blood pressure. You know what else you can do to decrease your stress? Learn how to tell people, no. Say no to people sometimes. Be selfish. Don't let people stress you out. Learn how to put yourself first and don't always feel like you have to be everything to everybody. Learn how to say, no, so you can help to reduce your stress. Stress is a major risk factor for hypertension. Don't let your blood pressure get high off your own supply of stress. So now I've given you a general overview of hypertension. We talked about the definition of hypertension. When that top number is 130 or greater, or when that bottom number is 90 or greater. We talked about the consequences of hypertension, heart disease, stroke and kidney failure. We also talked about the most common high blood pressure symptoms. We talked about how to prevent high blood pressure by not letting your blood pressure get high off your own supply. I want you to please comment down below and let me know what you are doing to decrease your risk of high blood pressure. Also, let me know what else you want me to discuss. I love hearing from you. Remember, prioritize yourself. Go to your doctor. Find out if you have high blood pressure, or if you're at risk. Strive to be a healthier, happier you.